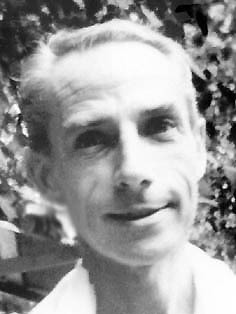 In 1953, at thirty, Satprem returned to India for good to be near Her who was in search of the secret of the passage to the “next species” — Mother, whose confidant and witness he became for some twenty years. His first essay was dedicated to Sri Aurobindo or the Adventure of Consciousness and followed a few years later by On the Way to Supermanhood. At the age of fifty, he edited and published the fabulous logbook of Mother's exploration, Mother's Agenda, in 13 volumes, while at the same time writing a trilogy — The Divine Materialism, The New Species, The Mutation of Death — followed by an essay, The Mind of the Cells. In 1994, Satprem edited Letters of a Rebel, two volumes of autobiographical correspondence. The next year, he wrote The Tragedy of the Earth - From Sophocles to Sri Aurobindo, which draws a curve from the Vedic and pre-Socratic era to our Iron Age and to Sri Aurobindo, who embodies the last turning point of our human destiny. The Key of Tales appeared in 1998, followed in 2000 by The Legend of the Future. In 1999, Satprem also started the publication of his Notebooks of an Apocalypse (in French, seven volumes published so far, and in English, one volume available), the record of his work in the depths of the body consciousness, in which he was brutally plunged after Mother's departure in 1973. SUJATA NAHAR, born in Calcutta in 1925, spent her early childhood in Santiniketan's cultural atmosphere under poet Rabindranath Tagore. At the age of seven she lost her mother. Her father, his world shattered, searched for another dimension to his life. He found Sri Aurobindo and Mother at Pondicherry. His children followed him there one by one. 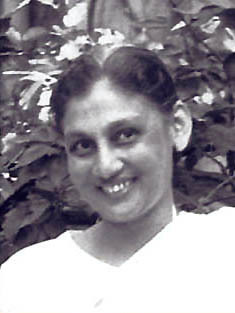 Thus Sujata, who first came to Sri Aurobindo in 1935, at the age of nine, decided to remain near him in May 1938. She lived in Pondicherry for forty-three years. At first, she received private tutoring, became secretary to Pavitra, an eminent French mathematician, chemist and engineer, who was Mother's right-hand man. Sujata also worked with him in his laboratory, where she made a variety of preparations for Mother. She was very actively involved in the new physical education devised by Mother. Satprem arrived at the beginning of 1954. A young man just turned thirty, he taught the top students and assisted Pavitra with the correspondence. Thus Satprem and Sujata came together. Eventually Mother started to make him the confidant of her experiences and asked him to help her with the French translation of Sri Aurobindo's books. Mother then entrusted Sujata with the typing of her private conversations with Satprem, the ‘Agenda.’ From 1965 onwards Sujata regularly accompanied Satprem to his meetings with Mother. After 1973, when Mother left her body, the Ashram changed from a living experiment to a stereotyped institution. In 1978 — Mother's centenary year — the Ashram trustees ‘expelled’ Satprem, because of the trilogy he had written on Mother's life and experiment. From 1978 onwards, Satprem and Sujata lived far away from Pondicherry, devoting themselves exclusively to Sri Aurobindo's and Mother's work and experiment in the cellular consciousness of the body. Sujata Nahar is the author of Mother's Chronicles, a biography of Mother and Sri Aurobindo.